A police spokesperson said, “Around 4:20pm Friday, October 20th police officers attended a reported single vehicle damage only crash on South Road in Southampton near the junction with Lighthouse Road. 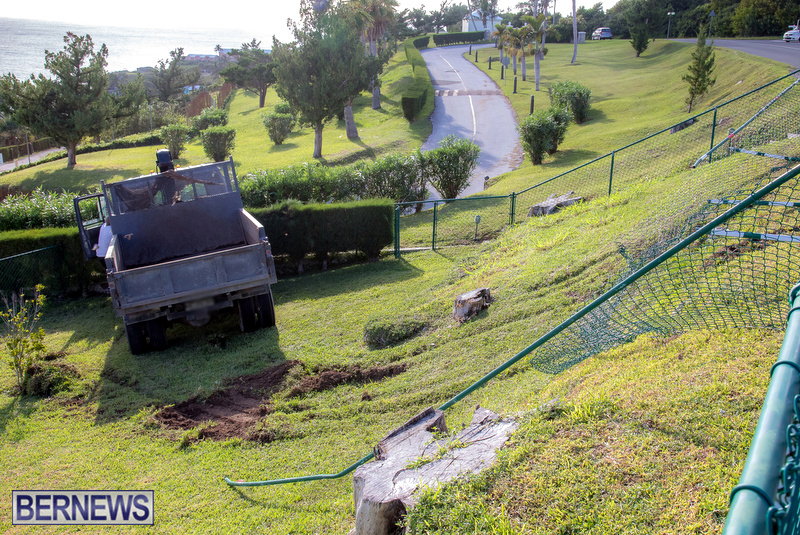 “It appears that a truck parked along South Road was unoccupied when it rolled down a nearby embankment. While there was some damage to the vehicle and property involved, no one was injured. The driver picking up a few ‘refreshments’ from the pantry across the street? So desperate for a frosty from Henry’s Pantry they forgot to put the handbrake on? Well, it wa a warm day. How to get it out now? Officer, I just stopped for a quick big foot. Technicallly I wasn’t driving when this happened! I hope the Police breath tested him! Suppose a tourist got licked and killed. Too much ignorance going on without consequences!! That officer should have been wearing his hat! Must have been getting some chicken legs! Fortunate this did not curve and land on the house. Lesson to us all to make sure the brake is always engaged before we exit the vehicle. 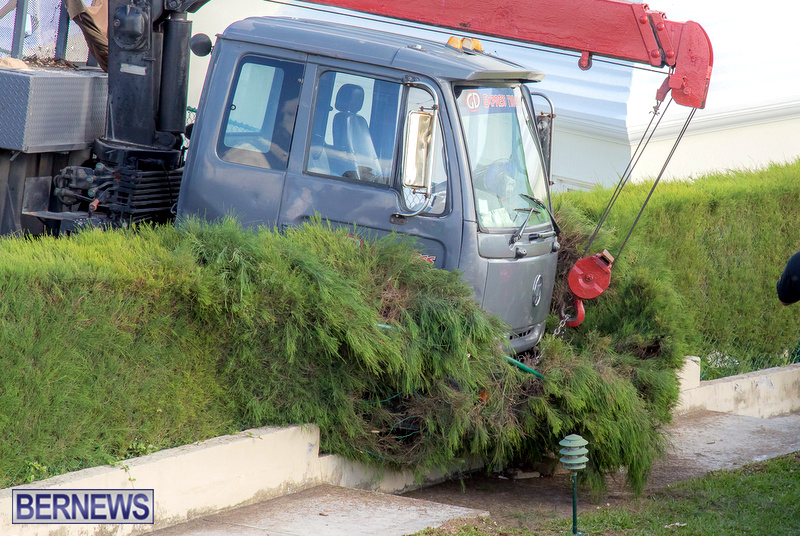 Clearly the truck is a herbivore, as you can see it waited for the guy to get out and then bam, off goes the truck for some tasty bushes. 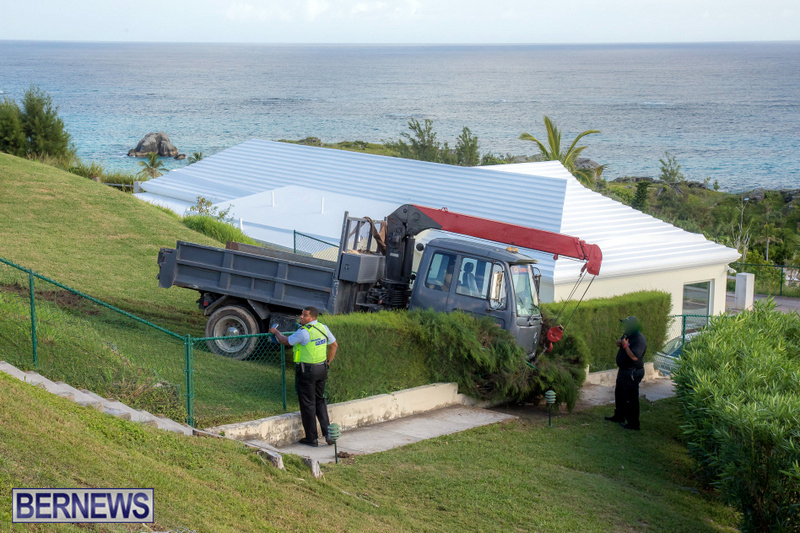 Thankfully, nobody was hurt and the truck wasn’t guilty of a house invasion.